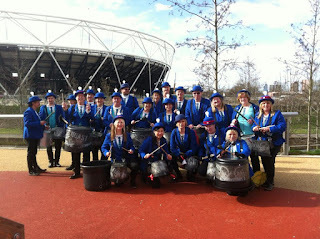 The Pandemonium Drummers will be returning once again to the Queen Elizabeth Olympic Park on Sunday 20th March to entertain the crowds and cheer on competitors during the Sport Relief Games 2016. With our bucket drums, signature blue bowler hats and some energising beats, our task will be to spur on the participants as they make their way round the course raising money for a worthy cause. We will be doing what we call "Cheer-Drumming" - which is along the lines of cheer-leading except we have drums instead of pom-poms, beats instead of chants and some limited choreography - high kicks are impractical whilst having percussion strapped on! 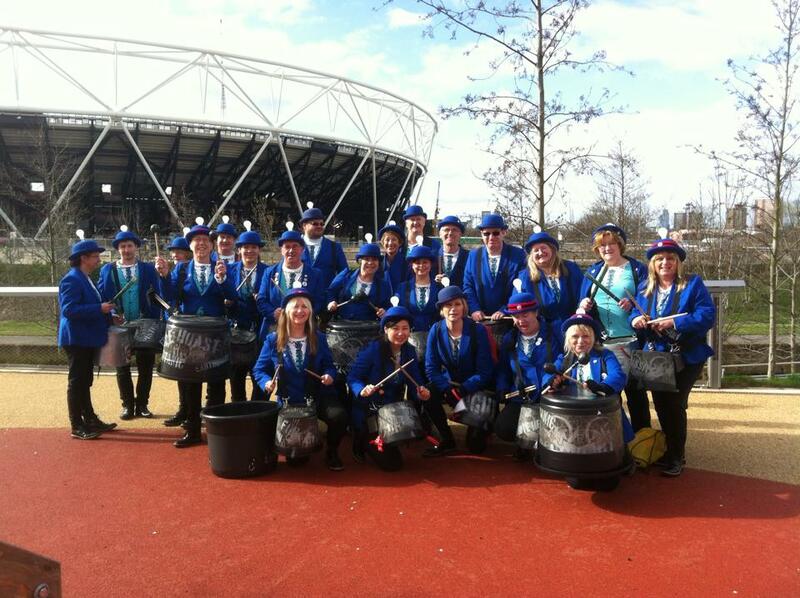 This will be our second appearance at the Sport Relief Games as we also drummed at the previous time it was held in 2014. They asked us back so we must be doing something right! Sport Relief is back from Friday 18th to Sunday 20th March and there are more ways than ever for you to take part, change lives and feel proud. Whether you get sponsored to enter an event at the Sainsbury’s Sport Relief Games or fundraise with friends and family at home, work or school you’ll help people living incredibly tough lives. In fact, half of all the money raised by the public is spent right here at home in the UK, with the other half used to make a difference in the world’s poorest communities. There’ll also be tons of top telly for you to look out for, across the BBC, in the run-up to the Sport Relief Weekend. It all culminates in an unmissable Night of Sport Relief TV, live from Queen Elizabeth Olympic Park. Find out more at sportrelief.com.